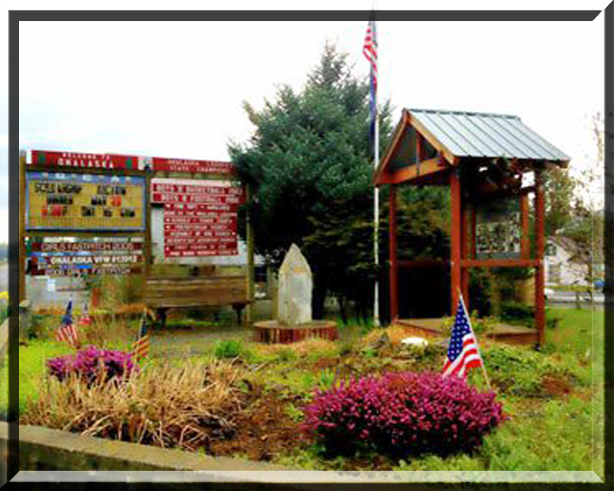 ​The Park is located at the corner of State Route 508 and Leonard Road. This park helps our community to honor our Onalaska area military veterans for their service and Sacrifice. Thank you Jack Beck for updating the reader board and thank you Patty Estes and Carl Boswell for maintaining Memorial Park.